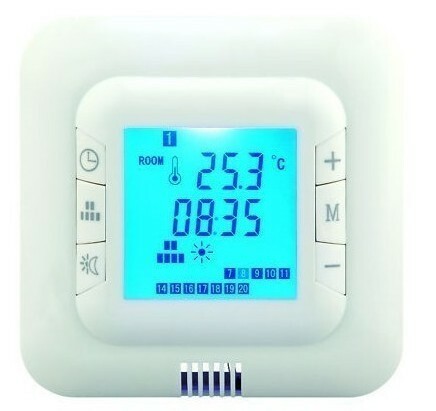 This Heating Thermostat is applied for Electric Heating System only, not suitable for water heating systems. It takes high quality raw materials, and produce and inspect strictly so as to make products steady and precise. 1. Suitable for almost all electric under floor heating systems. Energy save mode at14℃ from 10.00p.m to 6.00 a.m.
3. 7 day timer. Each day of the week can be programmed individually. is unoccupied for a long period of time. be set to a desired level. The thermostat will then revert back to the pre-set temperature at the next change of mode. 6.The scheduled event program can be switched off allowing manual operation of the thermostat if desired. 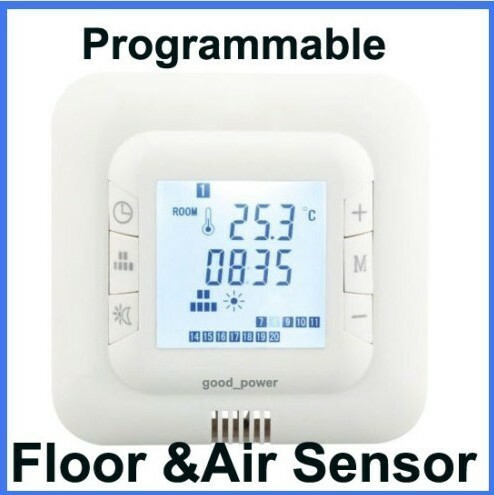 7.Combination of temperature sensor options - Air sensor / Floor sensor or Air & Floor sensor. 9.Floor sensor with 3m cable included. 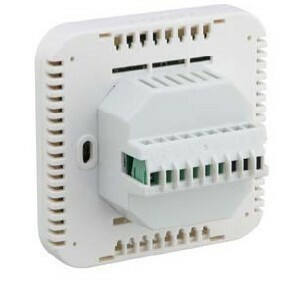 10.Air sensor built into thermostat. 11.Battery backup to save settings during power failure. 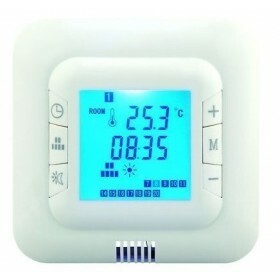 12.It is also compatible with non-underfloor heating system as sensor can be disabled. 13.The backlight can be automatically closed in working mode if you don't operate it continuously. 16.Two sensors: built-in sensor and floor sensor. 18.Full operating & installation instructions included. 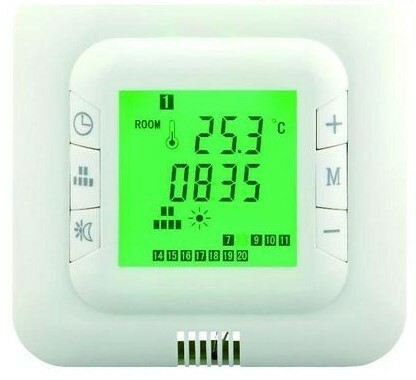 1) 1pc Electric Heating Thermostat. 2) 1pc 3m cable for Floor sensor.